The HCC and the St. Lucia Diabetes and Hypertension Association (SLDHA) held the ‘Blood Pressure Screening for Communities’ workshop on Friday April 17th, 2015 attended by SLDHA outreach staff including community nurses and physicians, and partners from the Ministry of Health, Wellness, Human Services and Gender Relations and the Ministry of Social Transformation. SLDHA is one of the subgrantees on the Blood Pressure Control Through Community Action (BPCCA) project – Phase I, funded through the Australian Direct Aid Program. Through the initiative the SLDHA will be screening cheap tramadol no rx over 1000 individuals in underserved communities in and St. Lucia and monitoring those found to have high blood pressure for medication and lifestyle compliance. SLDHA is led by President Mr. George Eugene and his team. 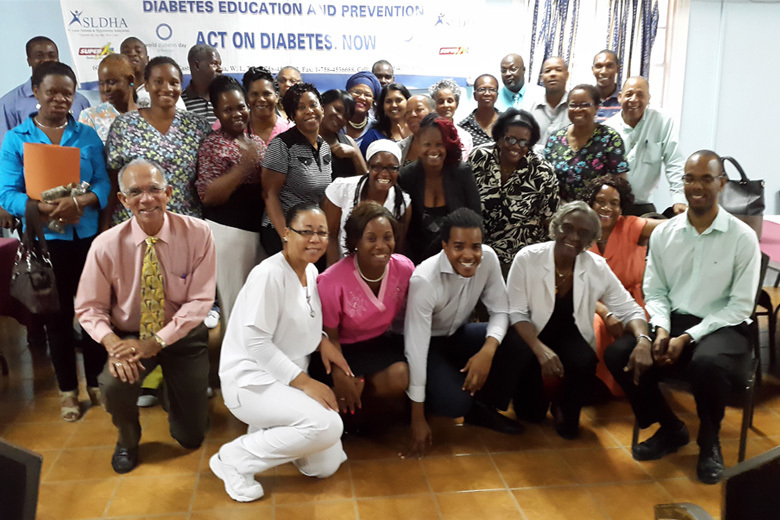 BPCCA I Clinical Project Advisors Dr. Jamario Skeete and Dr. Addison St. John led the one-day training workshop. To see local media coverage click on the links below.